Thank you for keeping your address current with us, it's important. 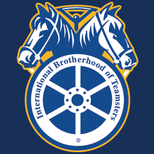 Seriously, you don't want to miss out on IBT mailings, Election Ballots and Teamster News, right? This stuff is just too good to miss! However, if you choose not to receive mailings, please indicate that on the form below. No worries, we're not in the bugging business.